I never thought about it that much but apparently I have been wearing the “grey shirt” daily. Not the same shirt of course but the same color. All grey, even my bed sheets are grey. *I think I have 3 more grey shirts are in the laundry basket. Discovered it as I was sort of tidying my perpetually messy closet. Seems like I have outgrown my happy bright colored shirts, thanks to me getting fat.-Not that I am complaining. This is reason enough to get more clothes/shirts. Hence all the grey shirts. 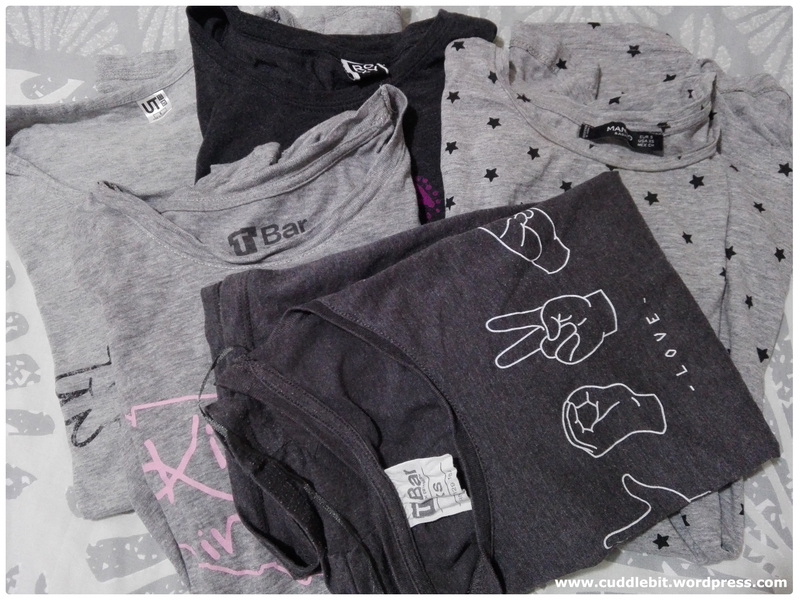 I dig my grey shirts, they are simple, neutral, inconspicuous and as long as the fabric is soft and comfy, I am good. They sort of became my personal work uniform. I do not have to worry about what to put on in the morning and how they look – I just toss on what is in my cabinet. Will just worry about what to wear on the weekends. Saving me time for the daily commute to work. Also freeing up some precious morning time for my gardening efforts. 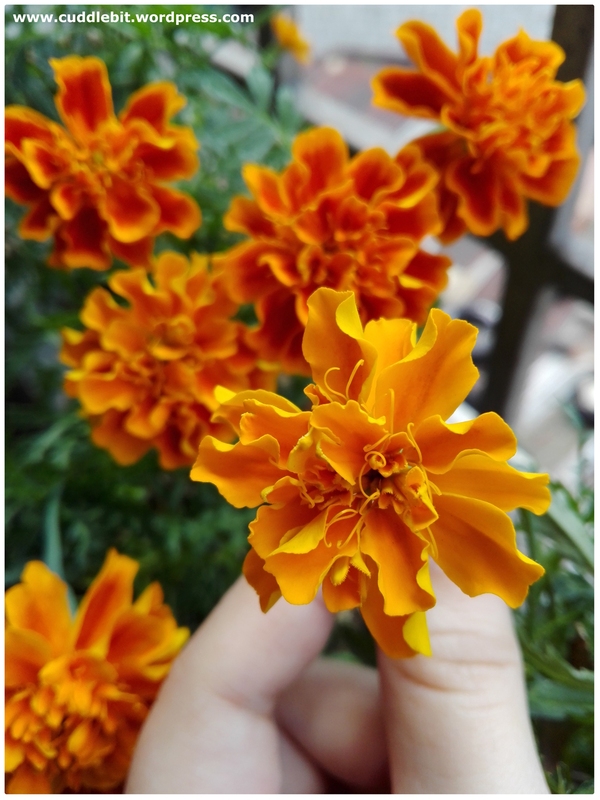 On that part, the marigolds are in bloom again! The flowers look so bright and happy. Summer is here! Categories: gardening, life | Tags: gardening, grey, manila, marigold, Philippines, shirt, tshirts, yellow | Permalink. I'm a graphic artist and a dreamer. I write to release my thoughts, just to tell about it. I love eating, shopping, my pet rabbits, making people laugh, and being with my family and friends.